Finally, a great way to combine your passion for grilling, your love for the Big Green Egg® and your personal style! Let Armor Shields give you a way to make a statement with your grill. Whether you want a stainless Armor Shield to match your outdoor kitchen, bold colors to match your space, licensed Realtree® and Mossy Oak® camo to show your love for the outdoors or licensed NCAA designs to show your school pride, Armor Shields has got you covered! “My shield is the perfect addition to my BGE! It protects my grill and protects my kids’ wandering hands when they want to help dad grill.” – Michael P.
“I was worried about installing my new shield but it was a breeze!” – Emily M.
“After purchasing my first shield, I’m already planning on purchasing another one for football season. ROLL TIDE!” – Conner W.
“Great design! Very satisfied with this clever product.” – Adam J. “Happy with our purchase. We are considering using our corporate logo on an Armor Shield for gifts. 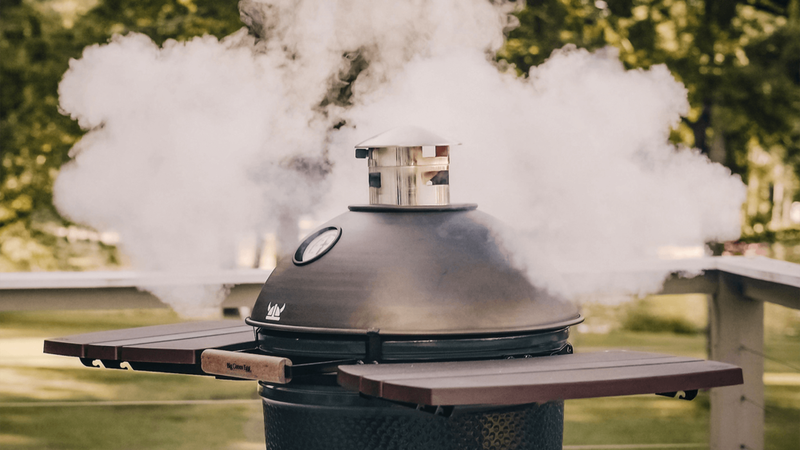 They are good looking and very high quality.” – Barbara E.
“Love my new green egg cover, it has really updated the look of my old looking grill. Very happy!!!! !” – Kendra L.
“Our dad is extremely hard to shop for because he has everything. This was the perfect gift for him.” – Kellie T.
Sign up with your email address to receive news and updates about Big Green Egg “EGGcessories” from Armor Shields, LLC. Armor Shields, LLC, respects your privacy. Big Green Egg®, EGG® and The Ultimate Cooking Experience® are Trademarks of The Big Green Egg Inc. RealTree® is a registered trademark of Jordan Outdoor Enterprises, Ltd. Mossy Oak® is a trademark of Haas Outdoors, Inc. This website and the products depicted are not affiliated with or endorsed by The Big Green Egg, Inc., Jordan Outdoor Enterprises, Ltd., or Haas Outdoors, Inc. Armor Shields patent pending.